Hustle and Home has the bead game on point! 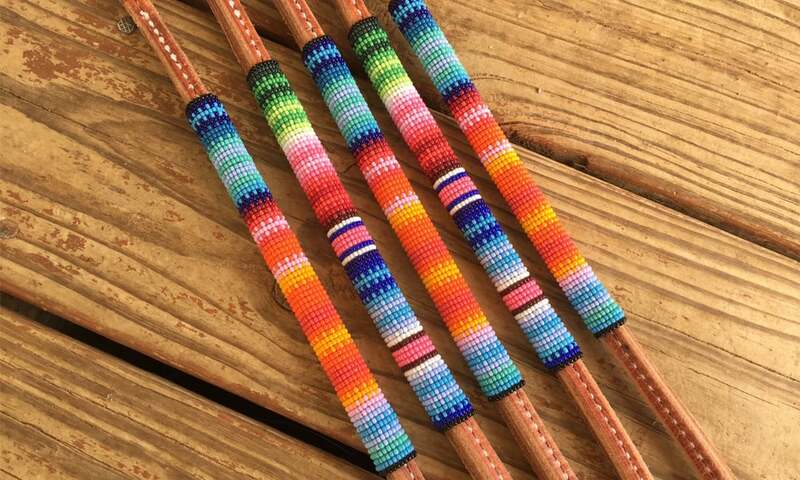 These beaded serape over unders are stunning. Each piece is carefully made by hand to last. 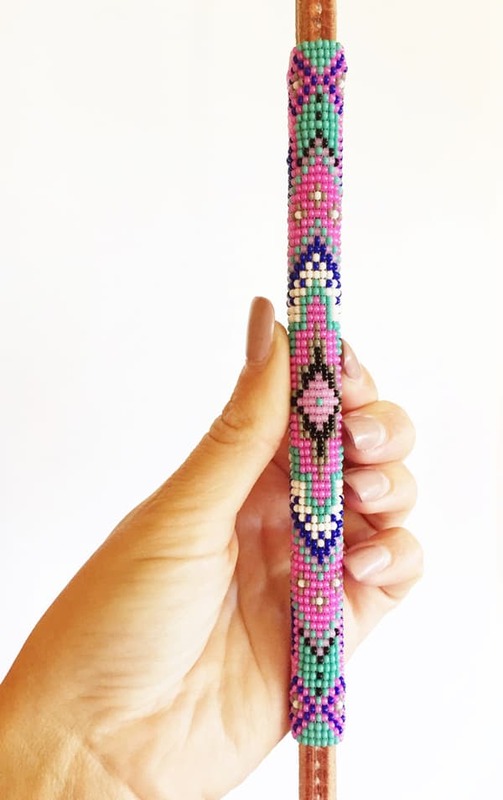 Stand out in the arena with these beautiful beaded pieces. Barrel racers can be very particular about tack. Luckily, there are lots of western companies out there who specialize in making perfect tack for the cowgirls and horses who compete in this sport. Hustle and Home creates custom beaded over unders for the rider. Other companies may try to imitate these designs, but you can only find them at Hustle and Home. 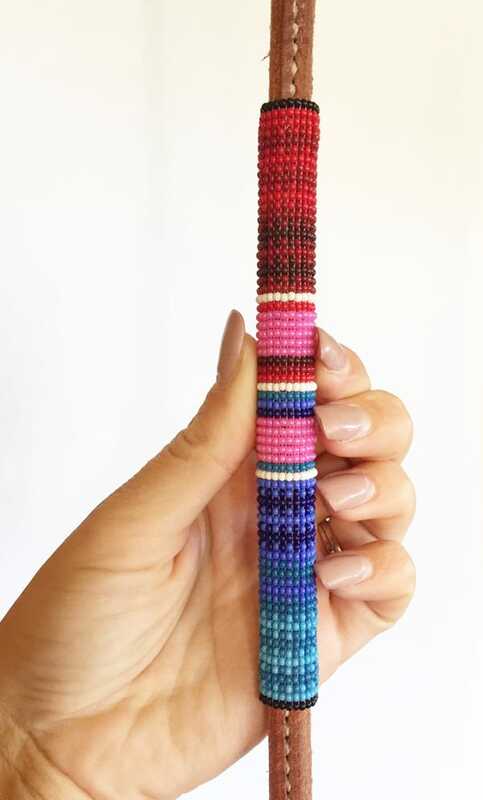 Pink, red, and colorful blue serape print. A pretty pink over under. Along with over unders, Hustle and Home also sells muletape halters and gorgeous printed cinch straps. Check them out on Facebook to order.